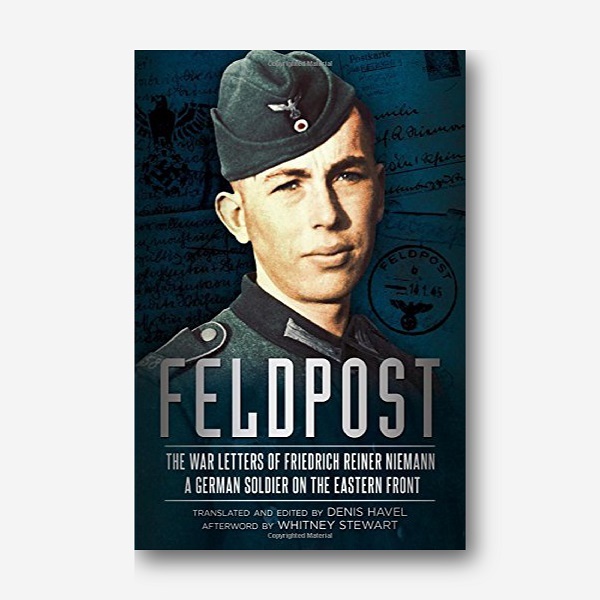 The Wartime Letters of Friedrich Reiner Niemann documents the life and frontline experiences of a German soldier from the 6th Infantry Division from 1941-1945. Niemann, a well-educated youth from an artist family in Cologne, was sent to the Russian Front four times. In his extensive correspondence, Niemann describes the fighting at Rzhev, Russia, 1942-1943, and his survival of the destruction of his division during the Soviet summer offensive in 1944. His is a rare view of battles that annihilated entire German divisions and armies. He wrote his final two letters home from the front in Poland on 12 January 1945 before he disappeared during the Soviet Vistula-Oder Offensive. After the Second World War, the Niemann family preserved Reiner’s letters and photographs, and shipped them to New Orleans when Reiner’s sister, Liselotte Andersson, had emigrated. Neglected in an attic for over fifty years, the documents surfaced only after Hurricane Katrina flooded the family house. Andersson’s daughter-in-law, author Whitney Stewart, discovered the letters in 2012 and contacted Denis Havel to translate them. Together, Havel and Stewart uncovered historical details that enabled them to follow Reiner’s trail and tell his story.